Athletes who are injured and want to get back into the game now have an opportunity to do so by contacting the Illinois Laser Center. The Illinois Laser Center is the first and only medical clinic in central Illinois to offer MLS Laser therapy that is being used by several teams in the NFL, MLB, NBA, and Division I colleges. It is proven to be effective on a wide range of physical ailments including tendon and ligament injuries, soft tissue repairs, muscle strains and tears, sore muscles and joints, back pain, neurological pain, chronic wounds, general pain, musculoskeletal disorders, pre-and post- surgical treatment, and anti-inflammation applications. This treatment offers an alternative to injections, pain medications, and invasive treatments. Treatments are quick, pain-free, and affordable. According to Dr. Sigle, DPM, and Dr. Kennedy, DC, this new technology gives us an opportunity to restore, rejuvenate, and heal. 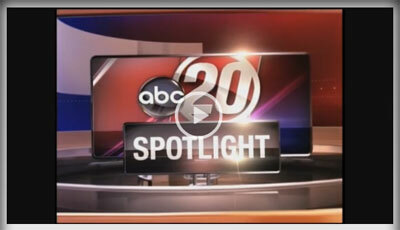 Dr. Sigle Interviewed on News Channel ABC20, In recognition of National Diabetes Awareness Month. “I am excited to represent the Illinois Podiatric Medical Association to provide the public and local media with some insight and advice about diabetic peripheral neuropathy, risks and complications, screening methods, and treatment options,” said Dr. Sigle.